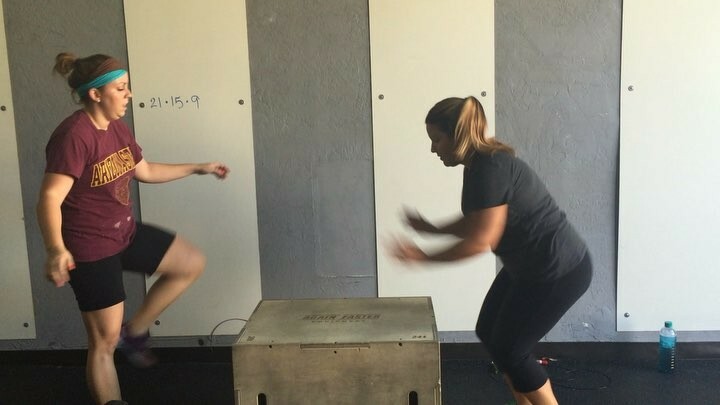 Look  who finally conquered box jumps! I hear she got her first pull-up today too! Good job Carol!